ZETOR Brand introduces new tractors and new design to North America - ZETOR TRACTORS a.s.
ZETOR North America a subsidiary of ZETOR TRACTORS a.s. will be presenting a new line of tractors and totally new designed tractor at the National Farm Machinery Show (NFMS) February 14-17 in Louisville. Visitors will see the MAJOR 80HS in the new design, the new MAJOR HT 45-55 and MAJOR HS 65. New tractors of the MAJOR model range will be presented, MAJOR HT 45/55 HP, the stronger MAJOR HS 65, and the Major 80 in the new design which had its world premiere at the biggest European exhibition, Agritechnica, in November. Additionally, visitors will also be presented with FORTERRA HD, the most powerful tractor of ZETOR portfolio for the USA. 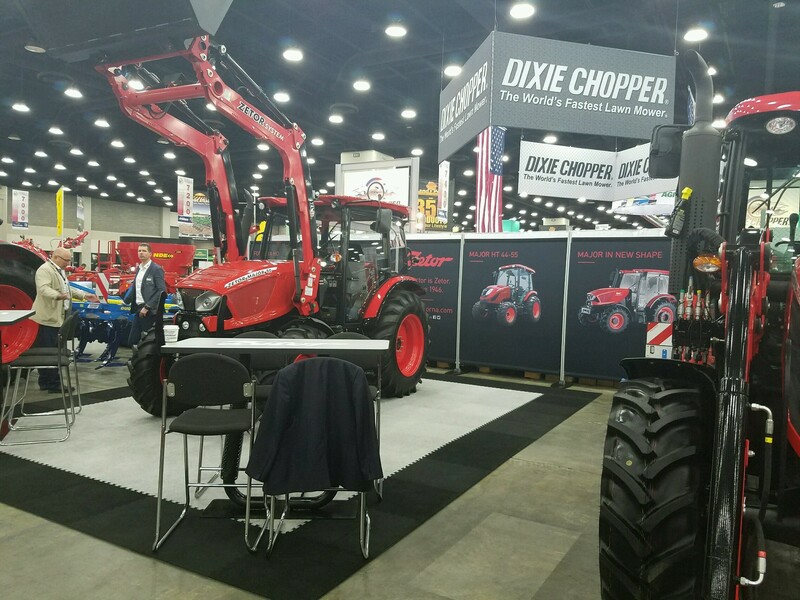 “National Farm Machinery Show is one of the biggest and most important events in the USA. The show is visited by thousands of people not only from the USA but also from Canada and Latin America. We are very happy to present the ZETOR brand and innovations in its product portfolio in this international exhibition,” says Mike Boucher, Director of sales and Operations, ZETOR NORTH AMERICA. MAJOR HT is available in two versions depending on power: MAJOR HT 45 and MAJOR HT 55. The tractors are powered by four-cylinder engines with hydrostatic transmission. MAJOR HS 65 is equipped with four-cylinder engine with the power of 67 HP using a transmission with 24 forward and 24 reverse gears. In addition, MAJOR HS 65 employs PowerShuttle, i.e. a reverser which allows the change of direction under load. The maximum speed of the tractors is 40 KPH; they are equipped with a wet brake system. “The new models with lower power are small, light and smooth in movement. Their manoeuvrability is very good, which makes them ideal for stables and other areas with limited space. They can be used in cultivation, gardening and road maintenance and they are also the good choice for hobby farmers,” says Mike Boucher. MAJOR HS 80 and MAJOR CL 80 in the new design are first tractors in the new modern coat. They are ready for serial production, to be launched this summer. The up-to-date design draws on the concept by Pininfarina studio which was presented at Agritechnica Exhibition in 2015. The aim was to create a product with strong aesthetic value thus giving the ZETOR brand a new iconic vision reflecting the values of the Company. Gradually, the new attractive design is going to be applied to all ZETOR tractors. “In 2015, we introduced to the world a new elegant design vision. Positive reactions from both professionals and the public convinced us that the new design, presented at Agritechnica 2017, will take the brand a step further. The tractor shall attract attention not only as a working tool but also by its appearance,” says Marián Lipovský, Managing Director, ZETOR TRACTORS a.s., commenting on the new design. The ZETOR brand is represented in America by ZETOR NORTH AMERICA with offices in Jacksonville, Fl. 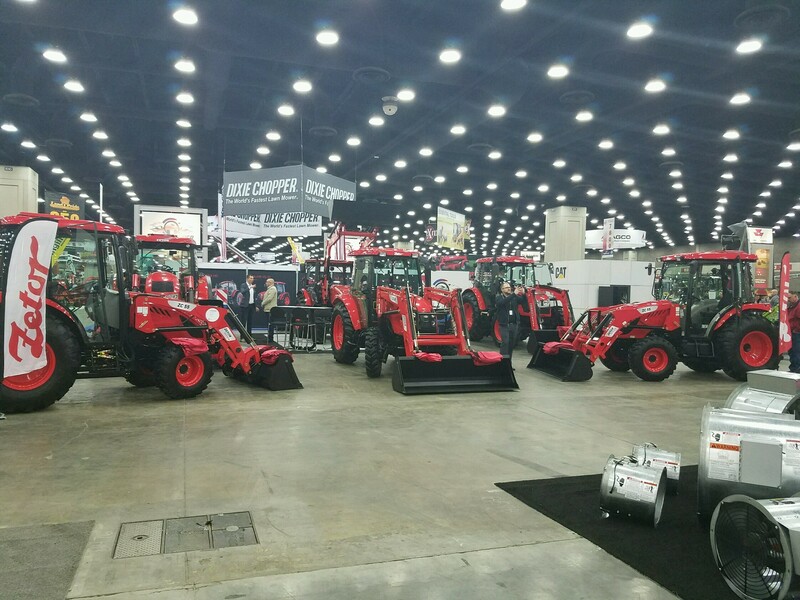 ZETOR NORTH AMERICA has been participating in NFMS regularly since 2008. ZETOR tractors have been exported to North America for over 40 years. In the highly competitive environment of the American market, the Company has been successful in strengthening the awareness of the ZETOR brand, extending dealer network and attracting new business partners; it can also guarantee European quality of supplied products, not only in the USA but also on markets in Central and South America and Canada. Currently, on the American market, the ZETOR brand offers three model ranges: MAJOR, PROXIMA, and FORTERRA with power ranging from 45 to 150 HP meeting TIER IV FINAL emission standard.